The Holy Spirit can be mysterious to us. Jesus said, "The wind [pneuma] blows wherever it pleases. You heart its sound, but you cannot tell where it is going. So it is with everyone born of the Spirit [pneuma]" (John 3:8). The Greek word pneuma can be translated "wind," "breath," or "spirit." The Holy Spirit is like the wind. Both are invisible, but we can see their effects. The Holy Spirit was always in the world, but on the Day of Pentecost, He "came" in a new way. The Spirit began to indwell all believers so that we might be changed into the likeness of Christ. Before Jesus went back to heaven, He promised His followers, "I will ask the Father, and he will give you another Counselor to be with you forever--the Spirit [Greek, pneuma] of Truth" (John 14:16-17). The presence of the Holy Spirit is a gift for every believer. But there is so much about the Spirit and His ministries that many Christians don't understand. 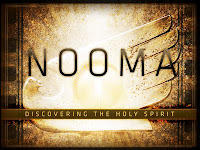 In this series, we will learn who the Spirit is and what He wants to do in our lives. Jesus said to Thomas, "Because you have seen me, you have believed; blessed are those who have not seen and yet have believed" (John 10:29). How can we who have never seen Jesus be sure He really rose from the dead? The transformation of the disciples is perhaps the greatest evidence of all for the resurrection. Thomas went from "doubting Thomas" to "daring Thomas." Church tradition says he went all the way to India to preach the gospel and eventually was martyred. None of the theories used to deny the resurrection are believable: (1) the disciples did not steal the body; (2) the disciples did not go to the wrong tomb; (3) the disciples did not see a resuscitated Jesus; and (4) the disciples did not hallucinate. "Men will die for what they believe to be true, though it may actually be false. They do not, however, die for what they know is a lie" (Paul Little, Know Why You Believe, p. 52). All of the apostles, except John, were killed for their faith in the risen Jesus. Liars make poor martyrs. Here's a video called "It Wouldn't Have Mattered" that we showed on Easter Sunday. It Wouldn't Have Mattered from Igniter Media on Vimeo. The message: We have a story to tell: "You are witnesses of these things" (Luke 24:48). The method: We must go into the world as Jesus did: "As the Father has sent me, so I am sending you" (John 20:21 NLT). The might: We can receive power from the Spirit: "I am going to send you what my Father has promised; but stay in the city until you have been clothed with power from on high" (Luke 24:49). N. T. Wright, in his book The Resurrection of the Son of God, points out some interesting parallels (pp. 650-651) between the account of Jesus' appearance to the Emmaus disciples (Luke 24:13-35) and the story of the twelve-year-old Jesus in the Temple (Luke 2:41-51). Another Passover, another Jerusalem visit: a couple beginning their journey away from Jerusalem, discovering (in chapter 2) that Jesus was not with them, or (in chapter 24) that he was, but unrecognized. Mary and Joseph hurry back to the city, like Cleopas and his companion but with a very different mood. They search in vain for three days (2:46), the parallel to which hardly needs pointing out. When they find the boy Jesus, his quizzical reply echoes down through the gospel story to the response of the unrecognized Jesus to the two on the road. "Why were you looking for me? Didn't you know that it was necessary for me to be among my father's affairs?" (2:49); and then, at last, "Foolish ones, slow of heart to believe all that the prophets had spoken! Was it not necessary for the Messiah to suffer these things and enter into his glory?" (24:25-26). The tired, anxious couple in the Temple are matched by the sad, disappointed couple on the road. Mary and Joseph discover Jesus, only to be confronted with a strange word about divine necessity; Cleopas and his companion, hearing the strange word about divine necessity, sit down to eat and discover that it was Jesus all along. The Feeding of the Five Thousand: Taking the five loaves and the two fish and looking up to heaven, he gave thanks and broke them. Then he gave them to the disciples to set before the people (9:16). This meal revealed that Jesus is the Messiah. The Last Supper: And he took bread, gave thanks and broke it, and gave it to them, saying, "This is my body given for you; do this in remembrance of me" (22:19). This meal revealed that Jesus would suffer. The Meal at Emmaus: When he was at the table with them, he took bread, gave thanks, broke it and began to give it to them (24:30). This meal revealed that Jesus has risen! Death is not the end of the story. Believers will one day follow Christ in resurrection. Our resurrection is guaranteed because of Christ's resurrection. Our resurrection will be a transformation, not a restoration. Our resurrection will happen when Christ returns. Our resurrection is the final stage of our salvation. If the enemies of Jesus had taken the body, they could have easily disproved the resurrection. If the friends of Jesus had taken the body, they would not have risked their lives to proclaim the resurrection. If grave robbers had taken the body, the grave clothes would not have been neatly left behind. If the tomb had not been empty, life would be empty.